The email campaign to our customers is a great part of Customer Care, provided by corporate. Day 45 – Why are antioxidants important? Day 75 – What’s so special about my immune system? The 100 Day “Personal Touch” Customer Care Plan helps you keep track of each and every one of your customers during the critical evaluation period of the first 100 days. The goal is to provide 10 follow-up connections with your new customer in the first 100 days – approximately once every two weeks. 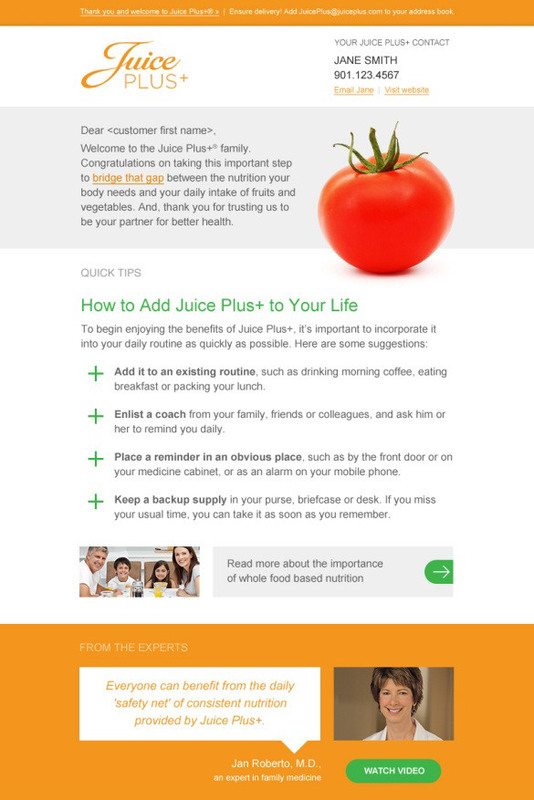 Juice Plus+ will send you e-mail reminders to call your customers, along with suggested talking points. You can find the new 90 Day emails here.